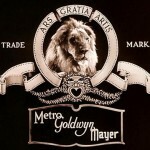 As you know, the Hollywood film studio Metro-Goldwyn-Mayer logo is a lion roaring for the camera. In fact, the first lion used for the newly-formed studio was Slats. And the image of Slats decorated all black-and-white MGM films, between 1924 and 1928. Initially, American publicist Howard Dietz designed the original logo, later used by the Goldwyn Pictures Corporation studio from 1917 to 1924. The first Goldwyn Pictures film to feature Slats the Lion was Polly of the Circus (1917). Meanwhile, Slats did nothing but look around in the logo. Unfortunately, Slats died in 1936, and his skin is currently on display at the McPherson Museum in McPherson, Kansas. And the second lion used for the MGM logo was Jackie. 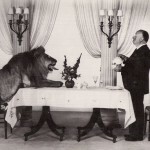 Besides, he was also the first MGM lion to roar, first heard via a gramophone record. Jackie growled softly, then followed a louder roar, and a brief pause, and then a final growl, before she looked off to the right of the screen. In addition to appearing in the MGM logo, Jackie appeared in over a hundred films, including the Tarzan movies that starred Johnny Weissmuller. Also, Jackie appeared with Greta Garbo in a 1920s publicity still. Jackie died on February 26, 1952. Meanwhile, MGM began experiments with two-color short subjects in 1927 and animated cartoons in 1930. 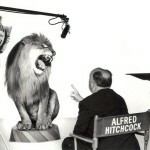 Two two-strip Technicolor variations of the MGM logo were created, with two different lions being used. The first lion, named “Telly”, appeared on all color MGM movies until 1932. 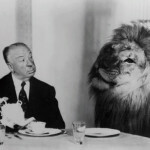 And the second lion, named “Coffee”, made his debut in 1932, appearing on color films until 1934. Besides, an extended version of the logo featuring “Coffee” appeared in the 1932 short Wild People. This variation features the lion roaring three times, rather than just twice. Later, in 1934 MGM began producing full three-strip Technicolor films. Tanner appeared on all Technicolor MGM films (1934–1956) and cartoons (late 1935–1958, 1963–1967). Besides, Tanner was MGM’s third longest-lived lion to be used (for a total of 22 years), after Jackie and the current lion (retained for 55 years). Tanner and Jackie were kept in the change from Academy ratio films to widescreen CinemaScope movies in 1953, with Tanner for color movies and Jackie for black-and-white films. And the sixth lion, officially named George, was introduced in 1956, and appeared more heavily maned than any of the predecessors and the current lion. From 1957 to 1958, this lion appeared in tandem with the current lion. However, MGM’s longest-lived lion is Leo, the seventh lion. He has appeared on most MGM films since 1957. In addition to being used as the MGM lion, Leo also appeared in Tarzan movies starring Mike Henry and the television series that starred Ron Ely, in King of Kings (1961), Zebra in the Kitchen (1965), Fluffy (1965), and Napoleon and Samantha (1972). A different logo, a circular still graphic image of a lion known as “The Stylized Lion”, appeared on three films in the 1960s: Grand Prix (1966), 2001: A Space Odyssey (1968), and The Subject Was Roses (1968). In all, there have been around five different lions used for the MGM logo (although two other lions were used for MGM’s two-strip Technicolor films in the late 1920s and early ’30s). These lions include Tanner, and Leo, the current (and officially fifth) lion.